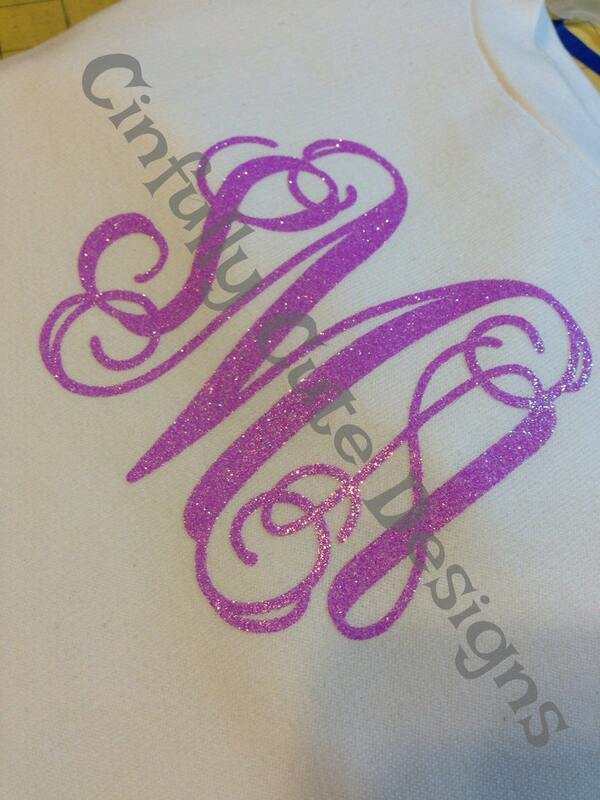 This listing is for ONE adult size sweatshirt in your choice of color, with oversized monogram in glossy, matte, or glitter heat applied vinyl. The glitter vinyl is super sparkly!! COLORS OF SWEATSHIRTS ARE SUBJECT TO AVAILABILITY AND SELLER RESERVES THE RIGHT TO SUBSTITUTE CURRENT IN STOCK SWEATSHIRTS FOR THOSE PICTURED, AFTER FIRST CONSULTING WITH CUSTOMER. Once the transaction is complete, convo me so that we can make your item exactly like you want it! Please provide full name so that I can put initials in correct monogram order. Care Instructions: Machine wash inside out in cold water and lay flat to dry. Lots of pictures of all of my available items can be found on my Facebook Page, Cinfully Cute Personalized Designs.